Top-scoring coach Vlad Zuperman reflects on the year in Fantasy Tennis and offers some tips and tricks. The second season of Fantasy Tennis League continued the success of 2017, with 20,943 coaches competing across the world for a chance to win a paid vacation to Australia and tickets to the 2019 Australian Open men’s final. From those 20,943 coaches, the winner was Vlad Zuperman, a Chicago resident who coached team ‘Rafa’ to 15,027.4 total Fantasy Tennis points. We caught up with Vlad to reflect on the season past. What was your best trade this season? 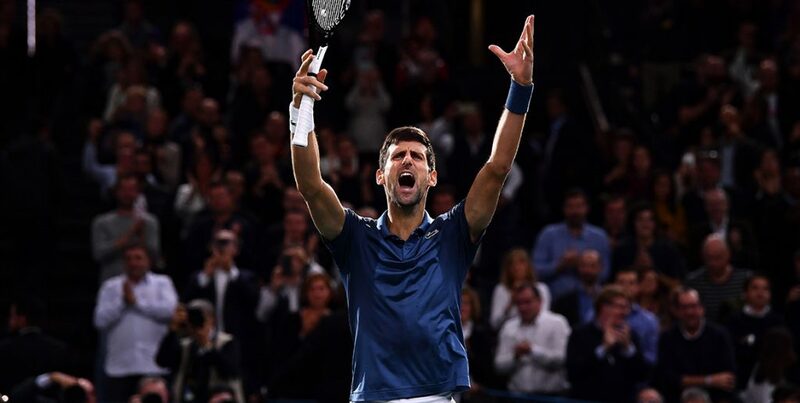 Novak Djokovic – I traded for him before Game Week 17 (GW17) for about $8 million and he ended the season around $27 million. A lot of other teams added him as well, but he was crucial for my team because he had a lot of points relative to his initial cost. It ended up being the perfect time to add him with the season he had. What was your worst trade this season? Peng Shuai – I acquired her before GW21 in anticipation of the tournament in Nanchang, which she won in 2017. She could have definitely helped in that tournament and beyond, but she withdrew from Nanchang and was suspended shortly after, so it was a wasted trade. Who was the MVP of your team this year and why? Wang Qiang – I was in 2nd place and 250 points behind Florian, the leader at the time, when I added her to my team. This happened to be at the same time that I dropped Peng Shuai, so Wang was able to completely nullify that mistake. She won Nanchang that same game week and finished the year so strong with a title in Guangzhou, and strong performances in Hiroshima, Wuhan, Beijing, Hong Kong, and Zhuhai. What advice would you give to people trying to win it all next year? I would recommend finding a balance between points, trades, and team value. Every decision matters and you have to take many factors into account when deciding how to manage your team. Use every resource available regarding players and their schedules because the more information you have, the easier it is to make a decision. I highly recommend utilising social media as players post where they are and that can help with making moves for your team as well. Who is one player you are definitely going to have in your team for the start of Australian Open 2019? Elina Svitolina – Sshe ended the season around $9 million, I think she will continue her success in 2019, and hopefully she has a Grand Slam breakthrough. Karen Khachanov – I always wanted to bring him in this year, but never found the right moment. He played very well especially towards the end of the year, winning in Paris. What strategy did you use to make sure you didn’t run out of trades? I studied the entry lists of upcoming tournaments and really planned out my trades weeks in advance, and rarely picked up players for short stretches. I had a week that I missed the lockout and didn’t use any trades during that game week. At the time, it was incredibly disheartening but it helped in terms of total trades because I didn’t lose too much ground overall. What advice would you give to newcomers selecting their squad for the first time? You have to read all of the rules and really familiarise yourself with the details of scoring, trades, and editing your lineup. You can’t succeed without understanding the full specifics of the competition. Also, try to be realistic about the form of your favourite players. As a huge fan of Nadal, I was still objective enough to have players that were in his part of the draw when I thought they had a chance of beating him. For example, I was one of the few to have Thiem during Madrid when he beat Rafa and reached the final.